An experiment author can associate a version. The version of the experiment is then logged in the .edat file. The image below shows where the version information is edited in the Experiment Object. The version can be manually edited. By default, the build number increments on each save. 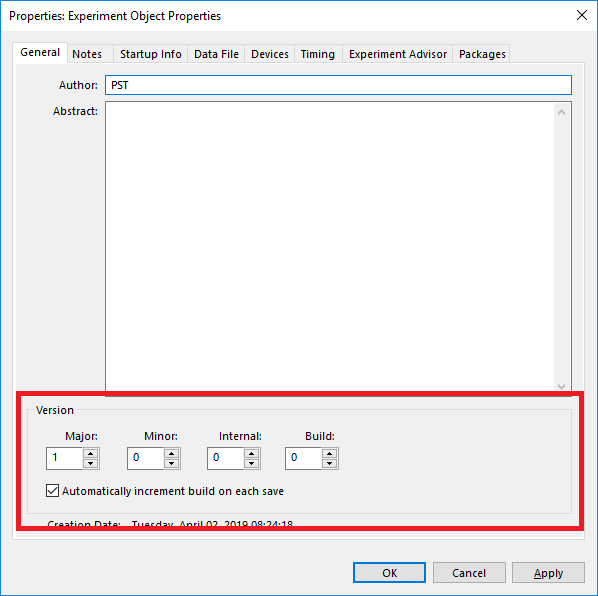 However, this can be changed if the "Automatically increment build on save" option is unchecked.